Going to a baby shower? If so, you may be experiencing a shower gift dilemma. We understand that buying a shower gift is not always easy, and that it is especially hard if you are not already a parent. We hope that this gift buying guide will help you when choosing a baby shower gift for that special mother-to-be in your life. With so much baby gear on the market, the choices for a baby shower gift are totally overwhelming. luckily, we have done the hard work and found some of the best gifts that will help new parents on what is to be the most exciting journey of their lifetime. Once you have narrowed down the list and selected your baby shower gift, the rest is a piece of cake. Pick out a sweet card and enjoy the shower. After the baby is born, every time the parents use your gift they’ll think of you and whisper a silent “thank you” for your thoughtful gift. Say goodbye to the binkies, boppys, and bumbos (for now) and embrace our list of top ten baby shower gifts. Think of our gifts as the survival kit for parents-to-be. So here’s our Top Ten list of the best baby shower gifts! We like the Ministar soft sole baby shoes. These shoes are beautifully crafted and perfect for babies and toddlers just learning to walk. 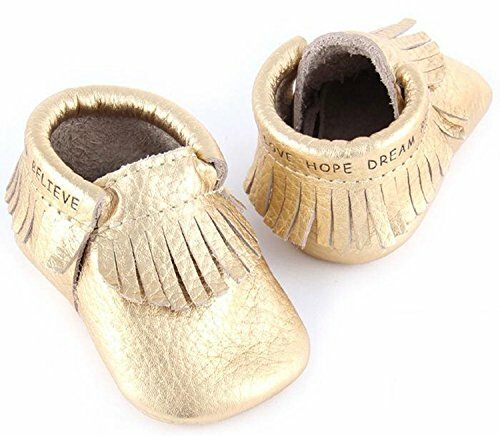 The soft soled leather shoes are designed to support the growing feet of wobblers as they learn how to walk. The days of bumpers are long gone. Today’s safety guidelines support using a breathable mesh crib liner. We like the Premium SafeBaby Breathable Crib Liner. The liner’s high quality mesh is able to promote maximum air flow and help reduce the risk of suffocation for babies under a year. Additionally, the easy-to-use wrap design allows parents to install the mesh liner in only five minutes. Every parent secretly wants an ERGObaby child carrier. The name is known for its comfort and easy-to-use design. The ERGObaby is comfortable for both baby and parent. Parents can feel comfortable knowing that in the ERGObaby their child is being cradled in a natural sitting position that will not risk the health of their child. With five carrying positions and a number of styles, the ERGObaby is the top choice of many parents. We recommend the ERGObaby Original Baby Carrier. This item is a must have for any new parent. Along with bumpers, blankets and pillows in cribs are no longer recommended. The safest crib is one that is completely devoid of stuffed animals, pillows, and blankets. Without loose bedding, parents need an alternative way to keep their baby warm and safe. 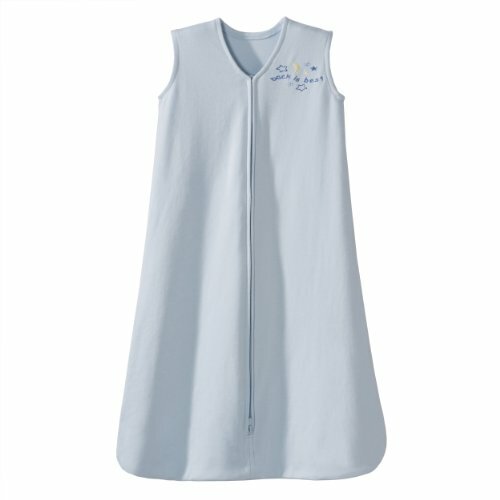 Sleep sacks like the highly rated HALO SleepSack come in a range of designs and colors. The Fisher-Price Rock ‘n Play Sleeper is a lifesaver for any new parent. The gentle slope of the sleeper allows for the baby to sleep at a comfortable incline. The gentle rocking motion is able to soothe even the grumpiest newborn to sleep. The stylish sleeper comes in a variety of colors and styles so that it may fit into any nursery motif. Developmental toys, teethers, music, and hours of fun for little ones. 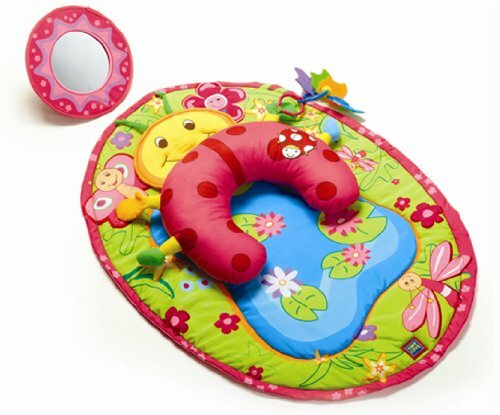 Tummy time mats like the Infantino Go Ga Ga Deluxe Twist & Fold Gym provide young babies with entertainment options while learning to hold up their heads, sit up, and crawl. The mat is easy to clean, store, and makes a wonderful addition to any nursery. There are a number of activity centers on the market. However, the Fisher-Price Rainforest Jumperoo is a favorite among babies and parents. The Jumperoo is easy to put together and provides entertainment for babies up to 25 pounds. The Jumperoo’s rotating seat provides a comfortable and safe place for a baby to play for extended periods of time. Most families need bottles for their babies at some point. Even breastfeeding mothers often pump or supplement with formula. 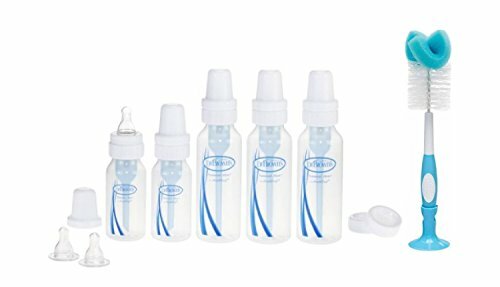 If a mom is planning on breastfeeding, we recommend gifting the Dr. Brown’s BPA Natural Flow Bottle Newborn Feeding Set. However, the set will also work for babies who will be bottle fed only as well. Dr Brown has developed a bottle that imitates the natural flow for babies and reduces feeding problems like gas, colic, and spit-up. 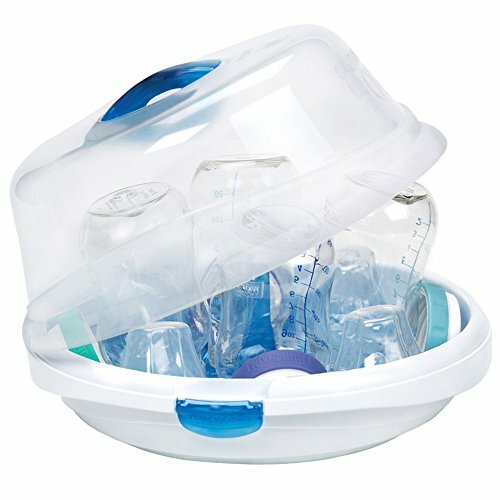 A microwave sterilizer, like the Munchkin Steam Guard Microwave Sterilizer, is a life saver for new parents. 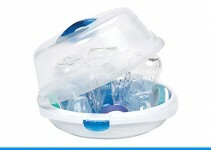 Easy-to-use microwave sterilizers allow parents to wash and sterilize bottles, pacifiers and other feeding equipment in minutes. 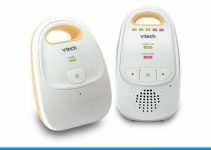 The time saving device can be life saving for new parents with precious little time. Top-rated diaper pails, like the Ubbi Steel Diaper Pail, offer an attractive way to hide one of the least glamorous aspects of parenting. 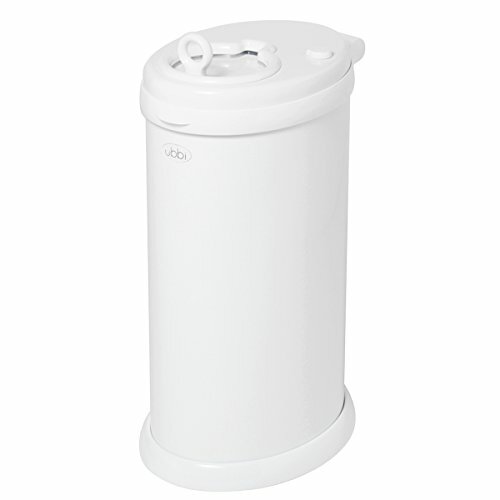 The Ubbi Steel Diaper Pail is able to keep things nice and tidy and requires no special bag to operate the system. Whether using cloth or disposable diapers, diaper pails are great ways to keep the nursery looking and smelling their best.